Starting a new project is the perfect time to review and think about the best way to manage all of the moving parts contained in the project. Taking the time to review the project goals, the team skill sets, resource demands, conflicting deliverables, organizational goals, and additional demands inside your project portfolio – highlight your project success path. While project portfolio management is widely recognized as the best way to manage multiple portfolios, there are some hurdles to be overcome. An effective project portfolio management team must have a keen understanding of every project within the portfolio including resource demands, priorities, management expectations, variables that directly impact outcomes, and how these projects and overall portfolio align with the organization’s goals. As the project portfolio manager, project manager, or PMO, your responsibility is to manage the entire innovation lifecycle of your multiple projects, people, and management demands. You need the ability to quickly prioritize, plan, and execute – while staying on budget and schedule. This cannot be done with guesswork or a trial-by-fire management approach. Enter a long list of project portfolio management methodologies and opinions on these methodologies. While there is no definitive answer on which project portfolio management methodology is right for your organization, you do need to choose a management approach. The methodology you choose gives your team the direction, support, and foundation it needs to make decisions, manage risk, and function as a team. There is a wide range of options in project portfolio management methodologies. Each approach has its own strengths, weaknesses, and applicability. Don’t feel constrained by these high-level definitions of each approach, use this as a starting point to do further research into your options. Remember, there is no right or wrong answer – it’s all in finding the management methodology that works for your project portfolio, team, and organization. Agile. 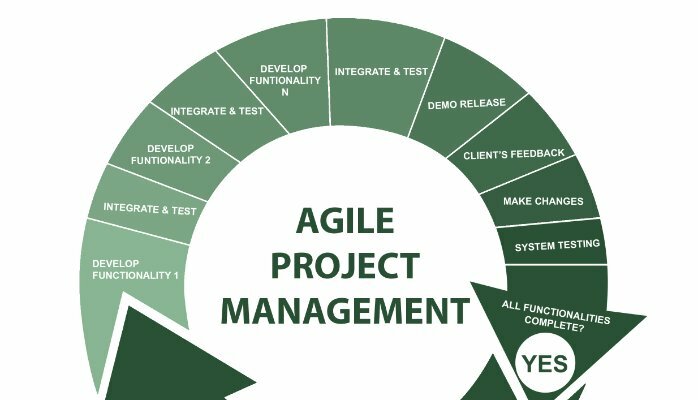 One of the most popular project portfolio management systems, agile is all about being flexible and able to quickly respond to changing demands. With short production cycles, the team stays focused on a small number of deliverables and is able to iteratively deliver quality updates and features. Many PMOs choose this approach for its ability to manage risk and to keep the team focus high. Kanban. By using a visual approach to project planning, teams can quickly scan whiteboards and other visual tools to monitor project portfolio success, goals, deliverables, and resource demands. Many teams choose this approach for its ability to keep processes simply and straight-forward. Lean. Widely used across a range of industries, the primary focus of the lean approach is on creating value for the customer. By reducing waste and overhead, greater value can be delivered to the customer. The success of this management methodology depends on keen attention to resource availability and optimization. PRINCE2. PRojects IN Controlled Environments is a process-driven approach to management that depends on a highly defined and segregated project. Each project is divided into stages, with the team treating each stage as a separate entity. Scrum. Typically associated with software development, this approach uses 30-day sprints to plan, prioritize, and complete project work. Originating from the agile framework, this project portfolio management methodology uses small teams who work with a Scrum Master and product owner as their key points of contact. Team members are encouraged to collaborate amongst themselves and with the customer. Six Sigma. This data-driven methodology uses data to drive all decisions. 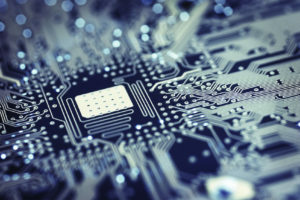 Key data points are used to determine the best way to eliminate defects, overhead, and time – all with the focus of keeping costs low and customer satisfaction high. Disciplined Agile Delivery (DAD). This hybrid approach borrows from Scrum, Kanban, Extreme Programming, and Agile to deliver a customized project management system. Teams use short cycles, a visual approach, and collaborative work to deliver high quality deliverables that meet customer demands. While this is not an exhaustive list every single project portfolio management system available, it does include approaches that can be applied across a range of industries and enterprises. The next step in choosing the right methodology for your organization and team is in digging into the tangibles and intangibles of your entire project portfolio. Depending on your perspective, this is where things get fun or extremely challenging. It’s time to sit down and ask hard questions about your entire project portfolio, these answers serve as a launching pad for determining the best way to manage your projects. Do not skip the assessment process and rush into choosing a project portfolio management methodology, this will only lead to headaches, stress, and a high chance of failure. What are the primary goals of your organization? How well does your organization communicate? How closely aligned are the goals of each project in your portfolio? What access do you have to project portfolio management software and tools? What management methodologies have you used in the past? How much involvement do you have with your customers? These questions will likely you lead you and your project management team to other questions about your overall project portfolio – this is exactly what you want. Consider this to be a fact-finding mission that enables you to choose the project portfolio management methodology that works for your unique project portfolio and organization. Above all else, you want to choose the management approach that delivers on trust, visibility, accuracy – all key essentials of successful project portfolio management.